Are Community Boards notified of when the NYSLA receives applications in their neighborhoods? For certain types of establishments, Community Boards are notified before the NYSLA receives an application. The Alcoholic Beverage Control Law requires that anyone applying for an on-premises license notify their community board of their intention to apply for a liquor license 30 days before filing an application with the State Liquor Authority. Proof of the 30 day notice must be submitted with the application. 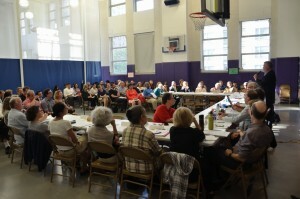 The community board may submit an opinion, either in favor of or against granting the license. That opinion will become part of the record used by the NYSLA in deciding whether to approve the application. What are the different types of licenses granted by the NYSLA? 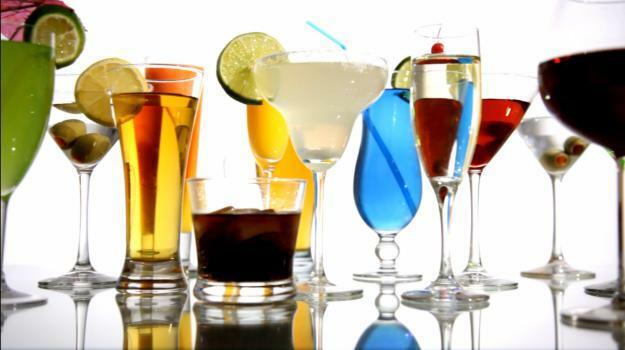 There are several types of licenses granted by the NYSLA, the following are the four basic ones issued: On-Premises Liquor: Generally considered to be the standard “bar” license. Allows on-premises consumption of liquor, wine and beer and also allows for sale of beer (only) for off-premises consumption. Food, such as soups and sandwiches, MUST be served. Grocery Beer/Wine: Off-premises beer license as listed above, see “Grocery Store Beer”. 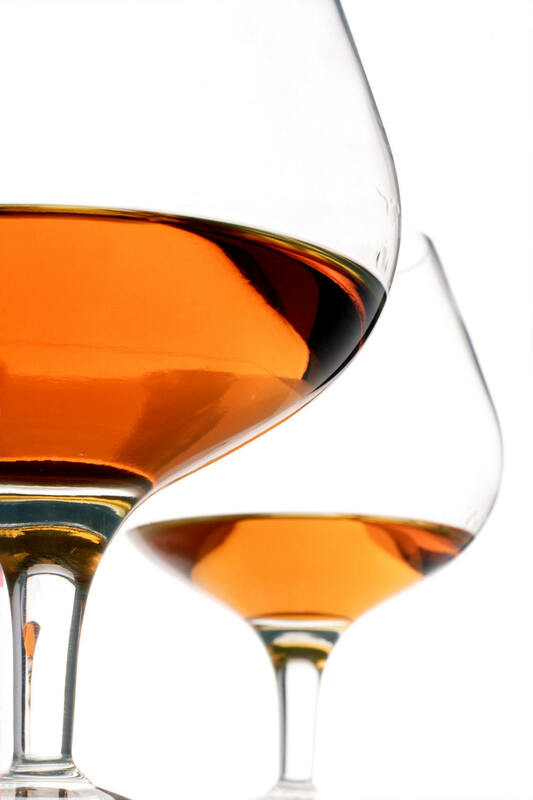 Additionally a “wine product” is defined as a beverage containing wine with added juice, flavoring, water, citric acid, sugar and carbon dioxide, not containing more than six percent alcohol by volume (typically referred to as “wine coolers”). Catering: Allows providers of food for banquet halls, dining halls, etc., to provide liquor, wine and beer for consumption for an assemblage for a particular function (i.e. retirement dinner, wedding reception, private party) to which the general public is not admitted. This license is for this type of function only. Liquor Store: For the sale of liquor and wine (no beer) for consumption off the premises. The only additional items allowed to be sold, such as ice and corkscrews, are listed in the ABC Law. Only one license is allowed per person (corporation, partnership, etc.). What is the 500 foot rule and how does this apply to community boards? When the NYSLA receives an application, there is a general presumption that it will be approved unless there is a good reason not to approve it. However, for on premises license applications falling under the 500 foot rule, (meaning there are already 3 or more existing establishments with the same type of license within 500 feet of the proposed applicant), the presumption switches, and by law the application cannot be approved unless the SLA finds that issuing the license would be in the public interest. The 500 foot law requires the NYSLA to consult with the community board and conduct a hearing to gather facts to determine whether the public interest would be served by issuing the license. 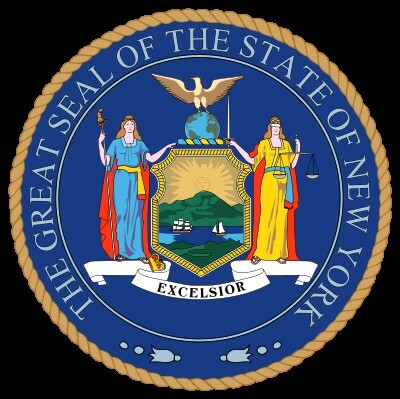 Generally speaking, if there is no opposition to the application, and no other issues presented that requires consideration by the Members of the Authority, the application is acted on by the NYSLA’s Licensing Bureau. In cases where the community board or other interested parties oppose the application, or there are other issues requiring review by the Members of the Authority, the matter is referred to the Members for determination. It is important to note that the fact that there is opposition to an application does not necessarily mean that the Authority will disapprove the application. The Authority may also applications even when there is no opposition. In situations where there is opposition to an application, applicants may come to an agreement on stipulations concerning the operation of the establishment (e.g. closing hours, live music, etc). In such cases, the applicant may incorporate those stipulations into the approved method of operation. These stipulations then become conditions of the license privilege and failure to comply subjects the licensee to disciplinary action. The SLA can impose certain conditions on the operation of the establishment without the consent of the applicant if there is good cause to do so. Stipulations: Before a license is issued, if a Community Board and applicant agree to certain conditions of the license, some of which can be written into the license and some that cannot, how can the Community Board handle this? If the Community Board and the applicant reach an agreement with respect to the operation of the establishment, the applicant can incorporate into the application those conditions that are relevant to the operation of a licensed establishment. What is the 200 foot rule? Under the “200 Foot Rule” an establishment cannot be licensed to sell liquor at retail if it is on the same street and within 200 feet of a school, church, synagogue or other place of worship. The rule also applies to wine stores. It does not apply to on premises establishments that are licensed for wine and/or beer only and to grocery stores. There are two exceptions under the law if the establishment existed prior to the enactment of the law in 1934 or if the location was licensed prior to the existence of the school or place of worship and has been continuously licensed ever since. What weight does the CB have in recommending approval or denial of retail license? While not binding on the Members of the Authority, the NYSLA considers input from community boards in all licensing decisions. However, courts have held that, for applications not subject to the 500 foot rule, community opposition alone is not sufficient to disapprove an application. Can a bar or nightclub “transfer” their license to another owner? Does the Community Board need to be notified? Does a transfer require NYSLA approval? Licensees may not “transfer” a license, in the way transfer is commonly understood (i.e. licenses may not be sold or given from one person or company to another). The NYSLA’s Licensing Bureau staff uses the terms “transfer” and “new” applications only to differentiate between an application for an establishment that is currently licensed and selling their business (transfer) and an establishment that is not currently licensed (new). In both cases, the license applicant must go through the same process, including notifying their CB and holding a 500 foot-hearing if applicable. A corporate licensee may have a change of officers, directors and stockholders without going through the entire application process. In such a case the licensee has to submit information regarding the new persons coming into the corporation and the financing involved. How do temporary permits work? If a license applicant gets a temporary, does this mean they will get a full liquor license? A license applicant who is purchasing the existing business that is currently licensed to sell alcoholic beverages may file an application for a Temporary Retail Permit. This allows the license applicant to begin operating the business and serving alcoholic beverages while their application for a permanent license is being reviewed. In order to qualify for this permit, the establishment must have been open and operating at least 30 days prior to the filing of the application. The permit is granted at the discretion of the NYSLA for a period of 90 days, and may be renewed. Issuance of the permit is not a guarantee that the licensee will be approved for a permanent license. Does the license expire once the licensee’s establishment ceases to exist? A liquor license is connected to the individual and a specific location. If the establishment ceases to exist their license certificate must be returned to the NYSLA. If the entity has vacated the premises is considered abandoned, the NYSLA Licensing Bureau sends out an abandonment letter to verify if the prior tenant has vacated the premises. When a licensee closes their business, they are required to alert the NYSLA and hand in their license, this is referred to as “surrendering” the license. Licensees are entitled to a refund on the unused portion of their licensing fee. Are there any routine unannounced inspections of establishments by NYSLA’s enforcement unit to ensure compliance with the Alcoholic Beverage Control Law or is it complaint driven? The SLA conducts unannounced undercover inspections as part of its investigation of a licensee. An investigation by the SLA may include: 1. on-site inspections of a licensed establishment; 2. on-site undercover investigations by NYSLA Investigators and other law enforcement agencies; 3. a review of reports and investigations by other law enforcement and regulatory agencies; and 4. interviewing potential witnesses/complainants and collecting evidence of potential violations. Information comes to the NYSLA from a variety of sources, including police and other law enforcement agency referrals, complaints by other government agencies or officials, and complaints made by the public. The identity of a person making a complaint is kept confidential. 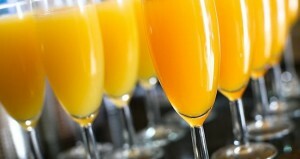 NYSLA Says Certain Brunch “Bottomless Glass” Specials Are OK? The New York City Hospitality Alliance publicly commended the NYSLA for issuing this statement and for providing such clarity. However, all the rest of us must have missed the “clarity” that the NYC Hospitality Alliance apparently saw in that statement. “…there is a limited exception in the statute when the service of alcohol is incidental to the event, such as in the case of certain brunch specials.” When is the service of alcohol incidental to the event/brunch? Always? Sometimes? When there are pancakes on the menu? Why just brunch? If the service of alcohol can now be now deemed incidental during brunch, why is it not deemed incidental during lunch or dinner as well? The reality is that the NYSLA statement provides no clarity whatsoever on the prohibition and in fact causes more confusion because now there appears to be some new exception to the prohibition that applies to certain brunch specials . . .but leaves us all in the dark as to the necessary elements of this exception. Until there is some actual clarification or specifically stated exception to the prohibition, we still recommend that you do not offer any unlimited drink specials during brunch, lunch, dinner or otherwise. The New York State Liquor Authority (SLA) recently concluded an underage sting operation in New York City where SLA investigators sent underage volunteer decoys into 239 licensed premises in all five New York City boroughs. In total, the decoys were able to purchase alcohol at an astounding 124 establishments. The sting was conducted from March 29 through April 5, 2012. The outcome of this sting is surprising. More than half of the premises that were raided had violated the law and served alcohol to minors. These violations are accompanied by monetary penalties and worse. For a first offense, a Licensee may be able to get away with paying a fine in the amount of $2,500.00 or so to the SLA to settle the charge . . .but if it is not their first violation, they may be looking at having a costly suspension or revocation hearing at the SLA. However, the good news is that avoiding these violations are very easy. Licensee’s must (i) train their employees as to what forms of ID are acceptable; (ii) insist that their employees require valid ID from all individuals that appear to be less than the age of 45 (just to safe) and (iii) inform employees that they are subject to job termination should they fail to properly check ID. Previously, the ABC Law required most license applicants and renewal applicants file notifications via certified mail with their local community boards a minimum of 30 days in advance of filings with the New York State Liquor Authority. Effective January 11, 2011, the types of notice that are considered legally sufficient to satisfy these notice requirements have expanded as follows: overnight delivery or personal service is added to the list of options available for new or renewal applicants for on-premises beer licenses, full on-premises liquor licenses, restaurant-brewer licenses, cabaret licenses, and on-premises wine licenses. In addition, overnight delivery is added to the list of options available for alteration applications [ABCL §99-d(1)]. 5) Surrender of the current license in effect for the premise, if any. Presently, this new 20 Day permit policy will remain in effect until February 17, 2011 at which point it will be revisited by the Authority. The law (S.6231C) which took effect in October 2010, creates a new program within the New York State Liquor Authority whereby an applicant for a liquor license can receive a temporary permit while waiting for their liquor license application to be processed. Prior to this law, an applicant could only receive a temporary permit if they are purchasing a business which already has a liquor license. The new temporary permit program will be a one year pilot program and should allow applicants to serve alcohol via the temporary permit within just weeks of applying. The bad news . . .this new program currently applies only to applicants located OUTSIDE of New York City.